We’re forever campaigning for magazines to stop giving us the same cover stars over and over, but Allure delivered someone unexpected for February. 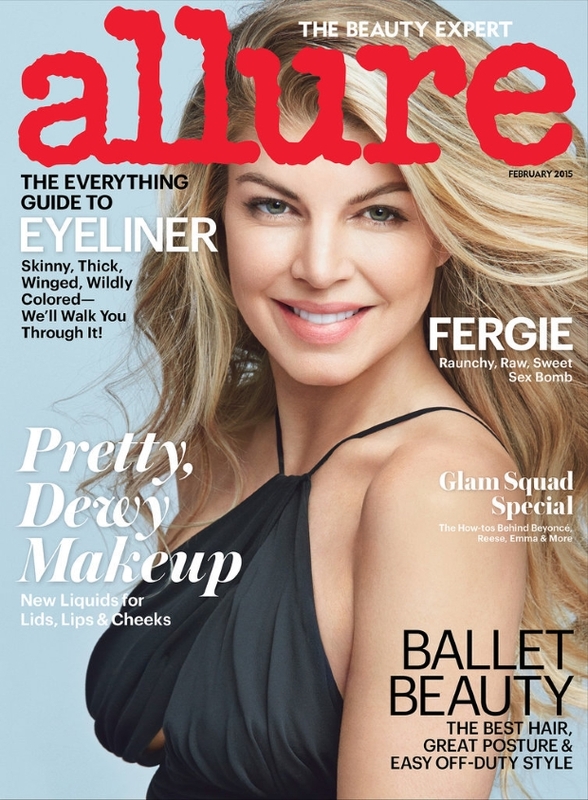 The magazine tapped Fergie to grace the newest issue, enlisting legendary photographer Patrick Demarchelier to capture the cover shot and accompanying feature. The singer dons a black chiffon jersey dress by Michael Kors, her hair styled into soft waves, wearing a minimal amount of makeup…sounds like the perfect cover, right? Our forum members aren’t so convinced. “I can not recognize her!” declared GlamorousBoy. “It’s amazing what you can accomplish after 96 hours of Photoshop,” replied dfl-001. Although not everyone disapproved of the cover. “I think she looks beautiful. Her face usually looks quite harsh in print and what a lovely smile as well,” YourMonster complimented. “I’m just glad they glammed it up this month and didn’t do another makeup free cover,” appreciated A.D.C. Do you think Allure overdid the Photoshop? Take a peek inside the thread for Fergie’s cover story and see what else the issue has to offer here.